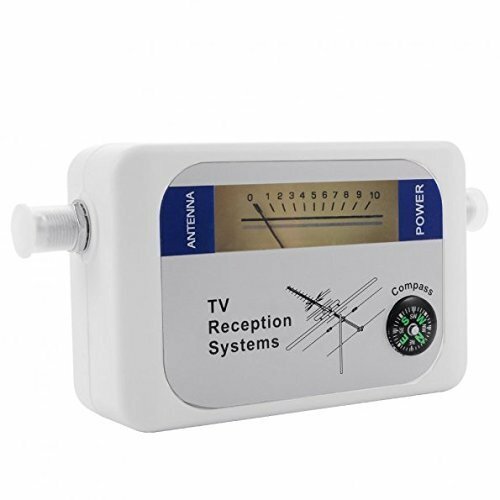 LeaningTech 95DT Satellite Signal Finder Meter is a tool that enables you easily tune your satellite dish while outside. It can help you to find the strongest satellite signal direction and it is suitable for remote satellite antennas. Our LeaningTech 95DT can help you alignment satellite for dishes on homes, RVs and motor homes easily without others help. -If there is an internal amplifer your antenna, (eg: 01MM-SQ01), it should be powered by an external power supply via a DC power inserter. Make sure the power inserter is positioned between the finder and the antenna.